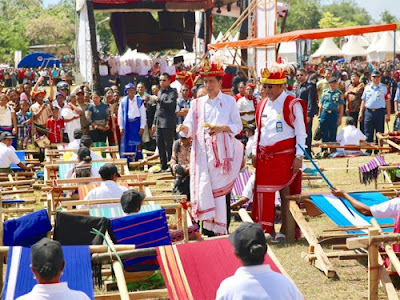 Following the success of the fascinating that has taken place from 3rd to 12th July 2017, the exotic island of Sumba in East Nusa Tengara Province will once again be highlighted with exciting festivity. This time, the spotlight will turn to one of the island's most treasured distinct masterpieces, the Tenun Ikat traditional handwoven fabrics, as the Sumba's Tenun Ikat Festival is set to be staged on 12th to 15th July 2017 centered at the Town of Tambolaka, Southwest Sumba Regency. This festival is expected to be attended by President Joko Widodo himself. Celebrating the people of Sumba's outstanding artistic quality, the festival will present all that has made the art of Tenun Ikat so special. These include the outstanding motifs and designs, exceptional colors that use only natural substances for dyes such as leaves and roots, as well as the philosophy and history behind this unique traditional fabric. The use of natural dyes uniquely cause colors to withstand time instead of fading, a quality that is truly intriguing. The word "ikat" itself means to tie or to bind. Each region in Sumba has its own variety of ikat motifs and patterns; in Wanokaka, Lamboya as well as at Tana Righu there are the kain (cloth) panggiling, pahikung and pawora while in the Loli region there is a cloth called kain lambaleko. Until today, although most have converted to Christianity or Islam, the people of Sumba, nonetheless, still follow megalithic traditions as taught by their ancestors. 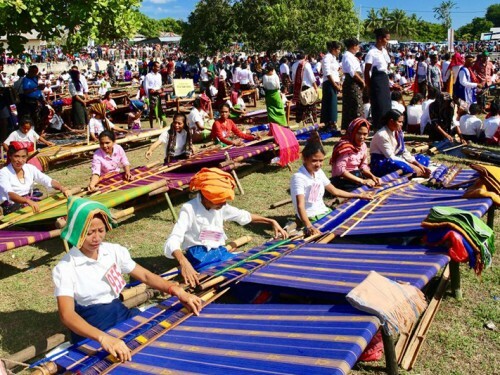 Ikat weaving throughout Sumba has social, religious and traditional significance. The different types of ikat cloths are related to the patterns in the making and coloring techniques. Traditionally only members of the highest clans and their personal attendants wore this for special ceremonies only. At funerals of kings and important personalities, the body used to be dressed in the finest textiles to be well appearing in the afterlife, and piles of extra textiles were then often sent with the dead as well. It were the Dutch who began to export ikat to Europe and Java, where these expensive materials quickly became very popular. 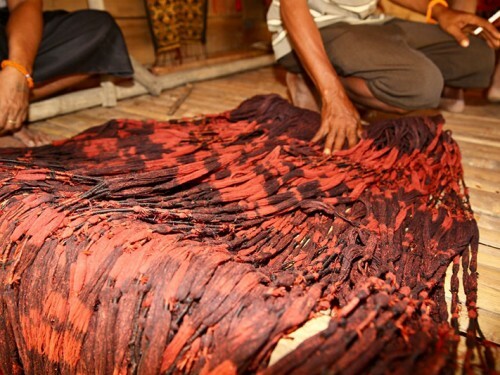 To this day, Sumba's cloths are collected as examples of the highest quality textile design and are found in the major museums of the world as well as in the homes of collectors. "This is indeed a potential that must not be overlooked. Sumba's handwoven fabric has distinct motifs. Its design variants are mostly symmetrical representing balance and harmony in human life. This is the reason why, the Ministry of Tourism is passionate in supporting the event" said Deputy for Tourism Marketing Development of the Ministry of Tourism. Considering its significance, President Joko Widodo is scheduled to personally attend the festival. The Governor of East Nusa Tenggara Province, Frans Lebu Raya explained that the President is expected to arrive on 11th July 2017 and will head back to the capital city on 12th July. Presenting the best of what Sumba has to offer, the festival will see the participation of over 2,000 artisans from across the island. Aside from showcasing the rich motifs as well as variants of Tenun Ikat, the festival will also be highlighted with fashion shows, workshops, and several other attractive programs. For those who wish to learn more about the fabric, there will be demonstrations on stages in the productions of Tenun Ikat. These include color mixing, spinning the threads, dying, as well as weaving the threads into shawls or other products. The festival will also feature a bazaar and exhibition of top products of East Nusa Tenggara Province and other modern innovations of Tenun Ikat.